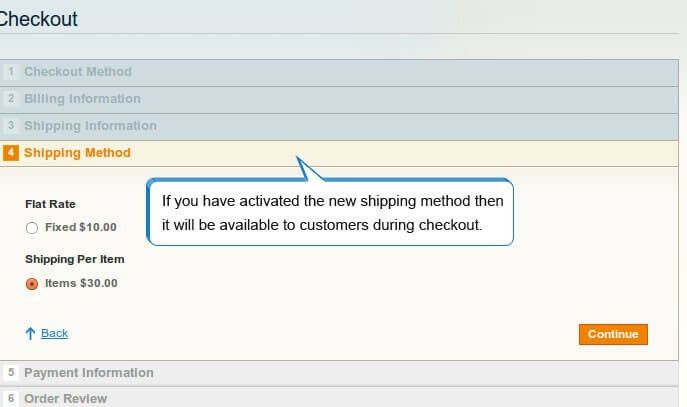 Magento Shipping Per Item Extension enables store owners to customize the shipping rates according to the type of products and where they are shipped to. Automatic shipping rate calculators greatly fall short and provide incorrect rates for certain products while handing heavy, lightweight or fragile products differently. 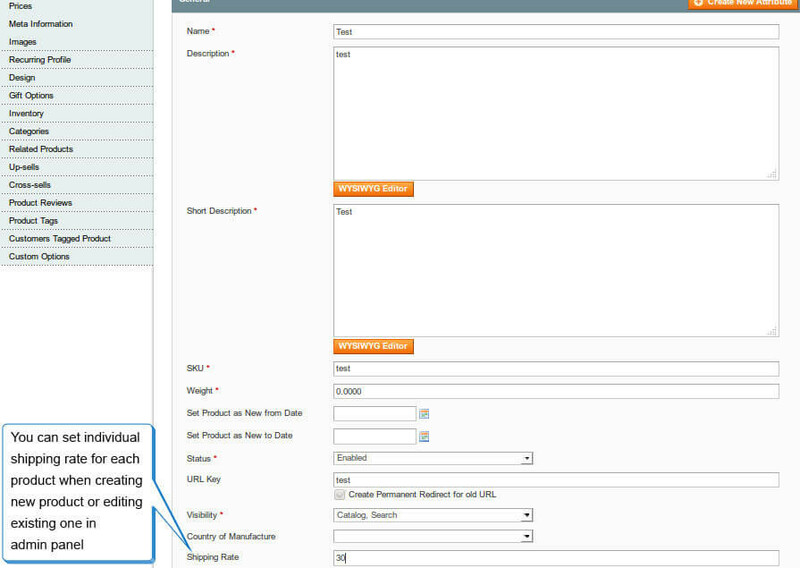 With the Magento Shipping per item Extension, you can set the rates for shipping for each item differently. Also, while shipping to different countries, specifically to Iceland or Canada, the shipping costs would drastically vary. Having flat table rates would make no sense. Our Shipping per item extension helps you indicate the shipping rate for each item in your store and make sure that the right amount is charged to the customer. Appropriately charged customer sees this as an awesome service – and you get a happy loyal customer! The individual rate can be set for each product either while creating new products or editing an existing one. This is done via the Magento admin panel. For products that do not have the individual shipping rate indicated, the default rate will apply. Now its time to farewell wrong and automated shipping price calculators. This magneto promotion extension will help to display individual flat shipping rates per product. 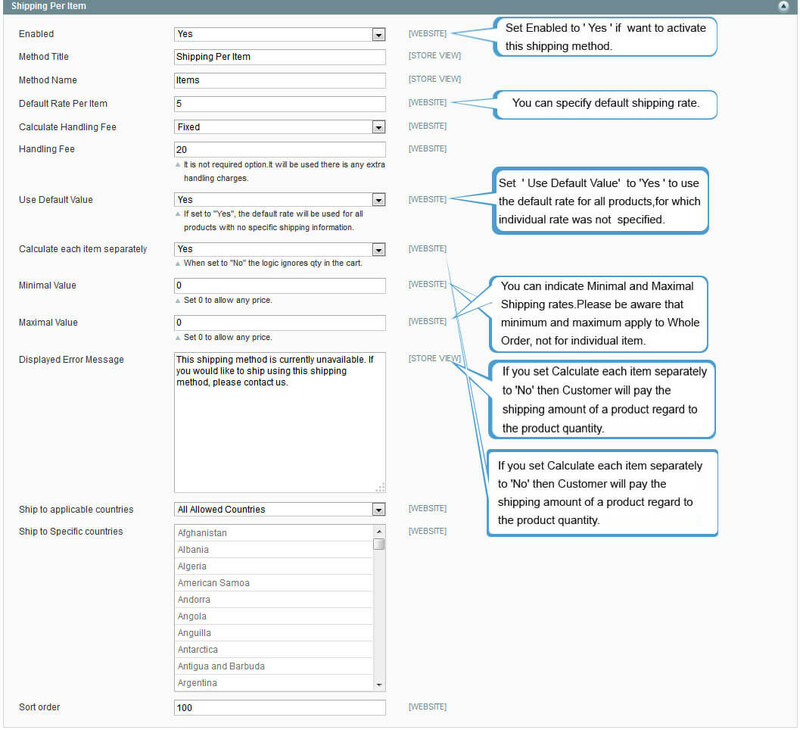 You can utilize default pricing for the products without individual rates distinct. The extension can add calculation handling fee based on fixed and percentage rates. Compatible with Magento Community Edition 1.9 and Enterprise Edition 1.14. Capability to stipulate least and maximum margins.